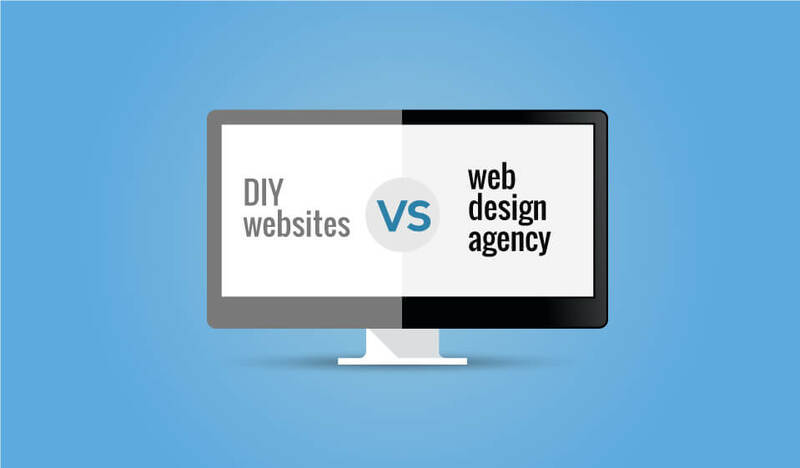 DIY websites Vs web design agency: How to Choose between Two? Are you in a dilemma deciding on DIY websites or hiring web design agency? In 2014, 53% small businesses entered to the website world. And, the phenomenon is increasing daily. So, planning to develop a website for your business??? Now, you have two choices. Either develop a DIY website or hire web design agency. Throughout the start-up phase, business should be very careful of its budget and other resources. DIY website, one of the recent trends develops the website without the coding knowledge. You do not need HTML and CSS codes to publish anything online. Anyone can develop website effortlessly and quickly. Are they worth it? Will they favour your business requirements? With web design templates or DIY website, you do not have to imagine the appearance of your as the end result is just the right there. You only have to include your company name along with some useful details. Some templates offer options for you to change small detail such as colours and typography, but in general, looks does not change. You can find lots of website templates available online, and most of them are free of cost or can be purchased at a reasonable price. These templates also come in a wide variety of designs. It’s as simple as installing and uploading it to the server. You get tonnes of theme options that you can play around with ease. Themes keep you away from the hassle of coding and testing. Website templates or DIY website requires just slight squeeze and are mostly up and running quickly. As they are made by companies that have knowledge about digital marketing, they are usually quick with less in size. However, there are also theme companies that don’t keep SEO in consideration and makes it hard all together. Since anyone can get website templates, there is a high chance that the DIY website template you pick up is alike to most of the websites already available on the web. You can decide to purchase the template and stop others from choosing it in the upcoming, but that might not get rid of those earlier than you who already bought and utilised that template. In most of the case, you need to customise the website for improved result. But, this might not be possible on the DIY website. If you want to update the settings of your template to fit in more text or optimise the images, you most likely require extra coding skills or the help of an expert website design company. If not the template may appear to be stretched out and may not function well at all. Most of the DIY website also uses outdated codes which might not be compatible with every browser. This surely obstructs your visitors to explore your website. SEO has become the key part of the website to expand online attention from the users. Also, it lets users get your web solution and probably interact with you and buy products or services you offer. But sorry to say, the most DIY website is not developed in an SEO-friendly manner. SEO might be troubling using the poorly crafted template. Have you tried to develop website by yourself? Yes, you can do it with a free website design template. But, it’s really challenging to develop a top notch website. The website requires some codes, images, plugins and more. You can get these functionalities hiring professional website design agency. In fact, website design agency facilitates you with the result driven website with an incredible user experience. The first impression really matters. When users visit your website, they start evaluating your business. The evaluation is based on the appearance of your website. For an instance, if you provide best carpet cleaning service in the world, your website is the one demonstrating your business online. So, choosing professional web design agency, you can make your business impressive. They understand the worth of website and strive to design the website that makes user positive towards your business. If you hire freelancers, they only focus on the particular service areas. Website design companies mostly provide a range of online marketing services counting social media management, SEO management, inbound marketing and more. So, if your aim is a beautiful website with maximum sales, ensure web designer works mutually with an online marketing expert. Web development companies are rich in resources compared to the individual freelancers. Thus, if you need a particular functionality or web applications, these companies are expected to offer a bespoke solution that goes along your requirements. Professional web design agencies work with the clients, they really concerned about. They are always ready to help even after the projects get completed providing continuous support. Also, they do not only focus your web project but take some time to understand your concept, develop your brand and signify your mission honestly. In fact, some companies built the strong and continuous bond with their client. A website developed by an expert website design company is a bit expensive compared to the template and other DIY websites. With more factors to consider, including everything from the colours and outline to organising navigation and lining up everything to the company’s principle, customising a website takes more time. Unlike DIY website you are unable to see the end product of your web page design till it is in the development. Web design Agencies comes with a wealth of expertise, knowledge, and experience. They hold a team who can help you find out the requirements that favour your website and ensure line up the recent market trends. But, these things can also be an obstruction. You might need to depend only on the agency to help sustain and update your website. Without enough knowledge and skill in coding, DIY website builders might offer you a website, but there might be lots of things lacking behind. In fact, to cope up with today’s competitive market, you should make sure that your company stands out in front of your competitors. If you decide on web design agency, Nirmal web studio always stands ahead to help you.